The recent announcement of David Brooks as the opening plenary speaker at the NAFSA 2016 Annual Conference & Expo is great news for all NAFSAns. As a member of the NAFSA board attending recent NAFSA annual conferences, I’ve been struck by the extraordinary caliber of NAFSA’s plenary speakers. From my 14 years experience as president of a partner organization, the Council of Graduate Schools (CGS), I know that successful conferences depend critically on compelling plenary speakers. At CGS, we were honored to have David Brooks as a plenary speaker more than once at our annual meetings and each time Mr. Brooks earned rave reviews from attendees. David Brooks as a speaker will appeal to NAFSA members for exactly the same reasons he appealed so strongly to graduate deans. He is a thoughtful commentator on the contemporary political scene who brings considered conservative balance to a community discourse where liberal voices dominate. And, in providing that balance, he signifies a kind of civility and respect for others that is absolutely essential to moving forward effective and meaningful dialogue on critical policy issues. Perhaps most appealing to both graduate deans and to NAFSAns is his demonstrated commitment to the life of the mind as he interprets contemporary politics and policy through the lens of a very wide range of disciplinary and field perspectives. His grasp of social and behavioral science literature is simply astounding. By offering balance and modeling tolerance, civility, and intellectual rigor, he exhibits the values, the practices, and the habits of mind that most of us would like to strengthen, not only in our students, but also in ourselves. 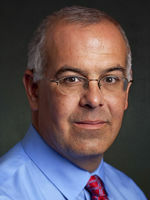 David Brooks is the right speaker to help move us all forward on that front. Kudos to the NAFSA staff for landing him! Learn more about all of the plenary speakers at NAFSA 2016. Debra Stewart serves as a member at large on the NAFSA Board of Directors and is president emerita and senior scholar at the Council of Graduate Schools.